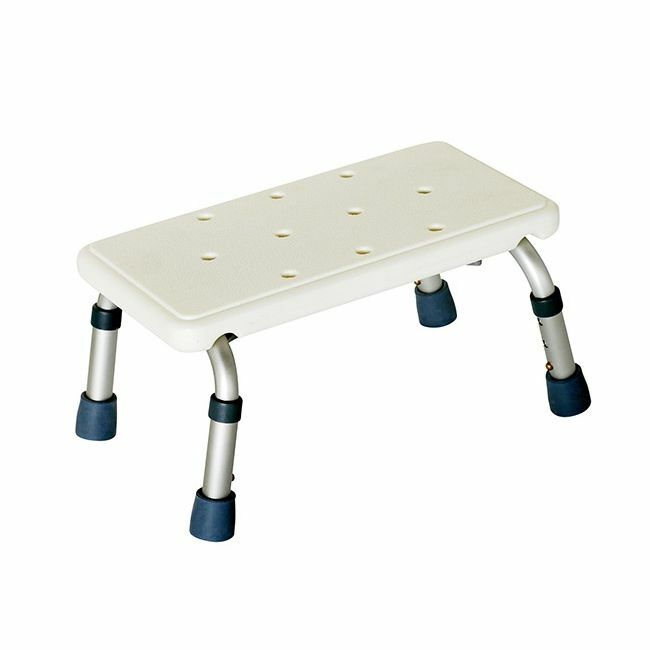 Get in and out of the bath safely and easily with an adjustable height bath step. The adjustable height bath step provides a reassuring step up when getting in and out of the bath. Supplied with rubber feet for extra stability and a textured surface to improve grip under foot, the bath step is a simple yet effective bathroom mobility solution.